Undefeated World Middleweight Champion Gennady "GGG" Golovkin's Big Drama Show made a triumphant return to HBO! Last Saturday, in his first non-pay-per-view event since 2016. Golovkin (38-0-1 34 KOs), from Karaganda, Kazakhstan, currently boxing's longest-reigning world champion, defended his title for the 20th consecutive and division-record-tying time. Saturday's victim was fellow 2004 Olympian and three-time world title challenger Vanes "The Nightmare" Martirosyan (36-4-1, 21 KOs), from Glendale, Calif., who was counted out in the second round of their battle at StubHub Center in Carson, Calif. 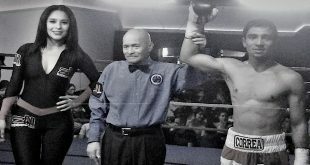 It was the first time Martirosyan had ever been stopped. The Golovkin vs. Martirosyan main event registered 1,249,000 viewers and peaked at 1,361,000 viewers, according to data from Nielsen Media Research. Those figures make Golovkin vs. Martirosyan the No. 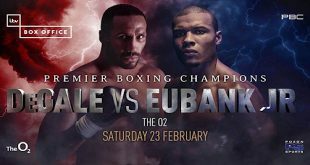 1-rated cable fight for 2018 and the top-rated premium cable fight since 2016, which was Golovkin's title defense against Dominic Wade, that took place at The Fabulous Forum in Inglewood, Calif. The opening bout was HBO's first-ever telecast of a women's fight live on the service and it averaged a sensational 904,000 viewers. The 10-round unanimous decision victory by World Female Welterweight Champion Cecilia Braekhus (33-0, 9 KOs), from Norway, boxing's only undisputed world champion, over former WBC middleweight champion Kali Reis (13-7-1, 4 KOs), from Providence, Rhode Island, peaked at 1,024,000 viewers. Even more impressive, Braekhus' debut was the second-highest-rated fight on HBO this year. "Gennady Golovkin may be the champion of the middleweight division but he delivers knockout ratings with a heavyweight punch," said Golovkin's promoter Tom Loeffler. 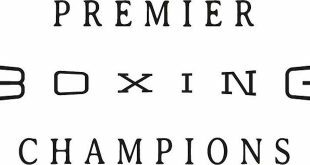 "Gennady continues to rack up the records, Not only did he tie Bernard Hopkins' consecutive title defense record, it took Gennady two less years to accomplish that feat. "Gennady also added two more StubHub Center milestones to his long list of accomplishments. 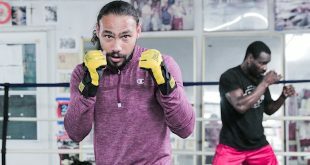 In addition to owning the boxing attendance record at StubHub Center, which he set in 2014 against Marco Rubio, he also shattered the venue's record for the highest-grossing boxing event and merchandise sales on Saturday night. "That makes Gennady a StubHub Center Triple Crown winner! Besides StubHub Center, the Big Drama Show has sold out many of the most iconic arenas, including The Forum, Madison Square Garden and the O2 Arena. Make no mistake, this is just the beginning. Gennady is ready to return to the ring as soon as it can be scheduled."